Hi, I’m Chip Mock. 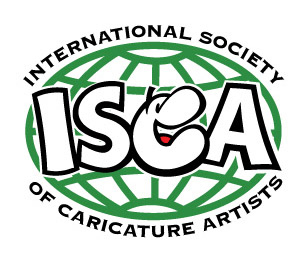 I began drawing caricatures professionally at the 1980 Three Rivers Arts Festival while a student the Art Institute of Pittsburgh, studying under renowned caricaturist, John Johns. Now in my 34rd year as a pro, I’ve drawn hundreds of thousands smiling faces, all over Central PA and beyond! I travel to over a dozen arts festivals in PA and entertain at many parties, proms, weddings, company picnics, countless Penn State events and even on cruise ships. 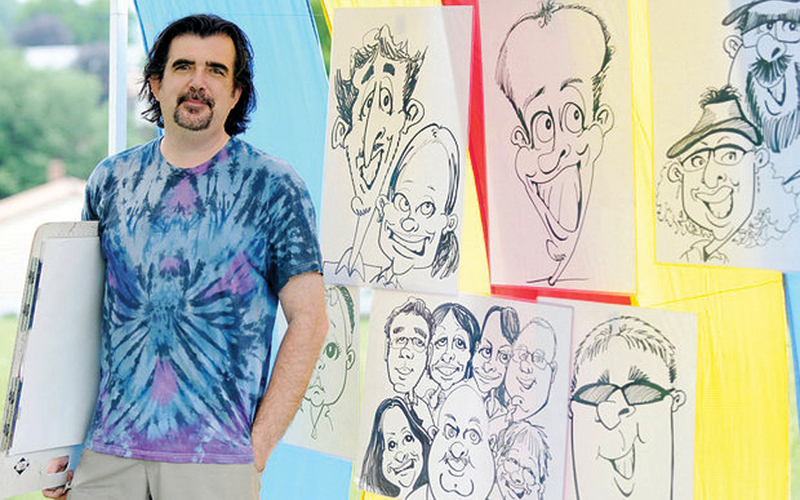 My style is fast and funny and my black and white caricatures are large and exaggerated. At parties and events I can easily draw 30 plus people per hour. Line up the children and we can see speeds of 50 heads an hour. At a 3 hour event you are looking at over 100 happy guests drawn, who had a blast watching friends getting some pretty funny caricatures that will end up hanging on their wall at home. Put a chisel-tip marker in my hands and some BIG paper on my lap and I am all business as I happily twist your facial features all over the paper! And yep, it will still look like you! Sound fun? Please contact me to see how we can work together for unique entertainment at your event.